Kindred Blooms is made up of badass florist sister duo Emma and Alexia. These Twin Cities florists not only have killer style, but they will keep you laughing and mega comfortable throughout your time working with them.They are constantly pushing the envelope with their incredible floral designs, and that’s why we love them so. Insert the “floral whip” they made for our Vol. IV stylebook. Katie from Sister Honey Floral Co. is a real gem. We love her more wild and organic style that really speaks to the a&be vibe. She is in her second year of business as a florist, but has already set her style apart in the Twin Cities Market. She discovered her love for floral arranging while designing her bouquet for her own wedding. 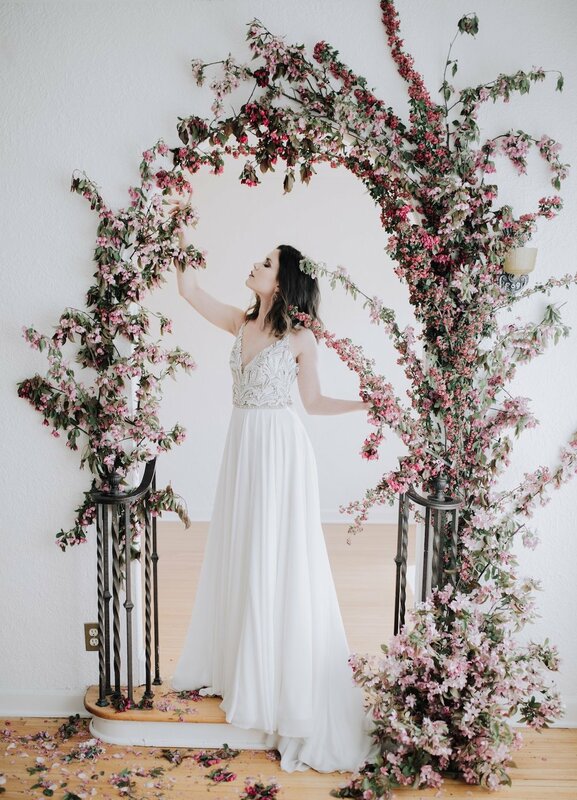 Her style is moody and whimsical, and man can this girl nail a floral arch. Munster Rose is another major fav florist of ours. We have been working with this dream team all the way back to our grand opening in the Summer of 2014. The owner Jackie makes it a priority to consider the environment when creating all of her gorgeous floral designs, which we LOVE. 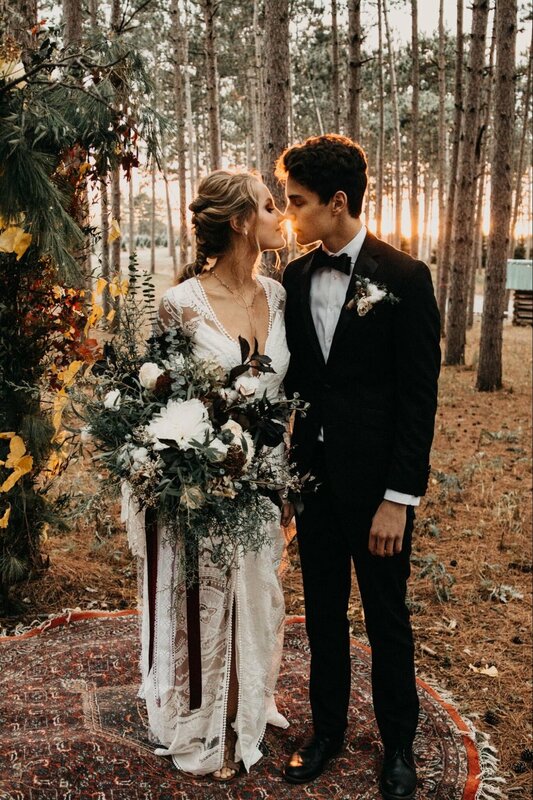 Their style of wedding bouquets and floral arrangements can be soft or bold, and either way the team nails it with their trendsetting eye. You can definitely see the owner of Eclectic Elegance, Terra’s, passion for everything floral. 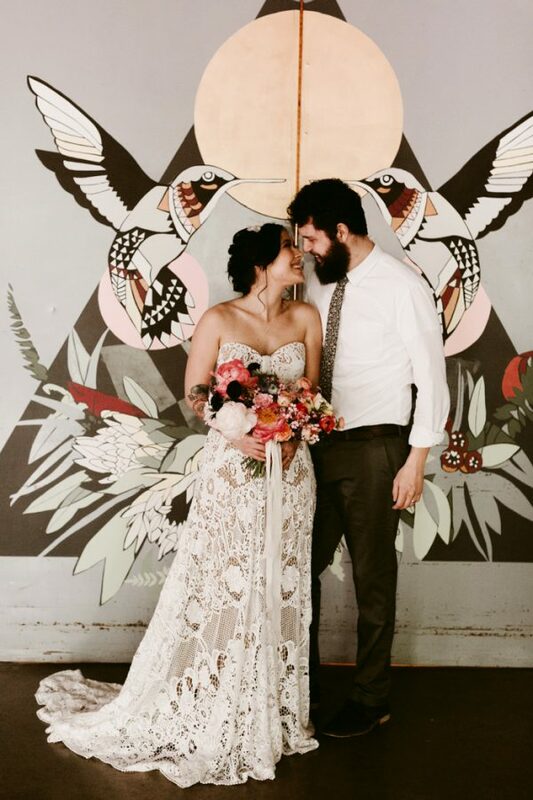 She brings in different textures and unique blooms that really set her style apart. Her style surrounds itself around the organic shape of each and every bloom in the most wild and natural way. Her large and exaggerated wedding bouquets are some of our favorites! How do we love the Mavens floral goddesses? Let us count the ways. 1. They are some of the coolest chicks around 2. They can help you plan your whole wedding 3. They understand our love for all things quirky and bohemian.